No one puts together a runway livestream like the Europeans, and Burberry has set an extremely high bar this season. I kicked off my work week by watching the show yesterday morning, and from the setting to the attendees to the apparel, the entire presentation, from start to finish, gave the fashion world something to talk about. The coats and jackets in particular, for which Burberry is known, shone (literally) as they walked down the runway. 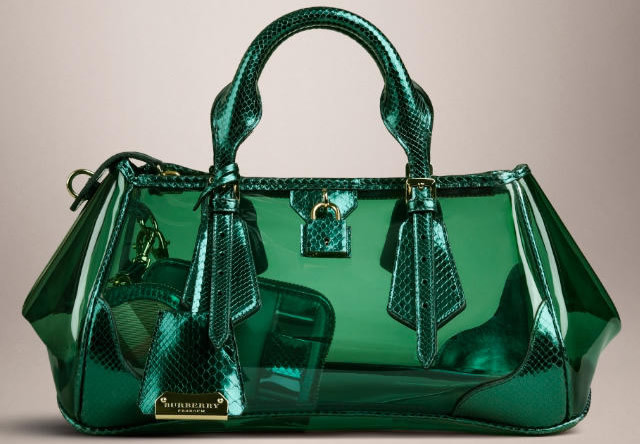 I honed in on the accessories, naturally, and not only do we have photos to share, but Burberry is selling these items straight from the runway, right now. 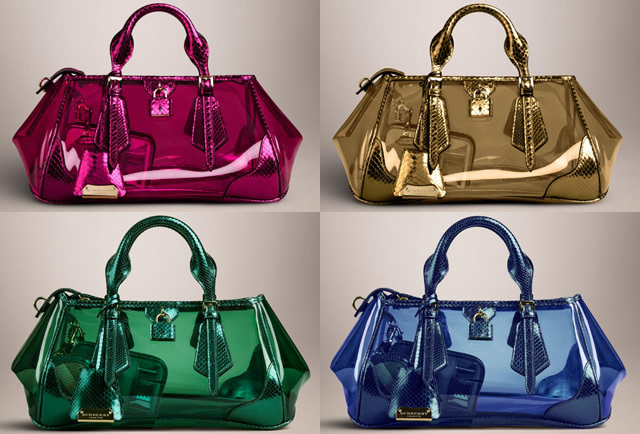 Looks like Burberry got the memo - we see it, we like it, we want it right then and there. 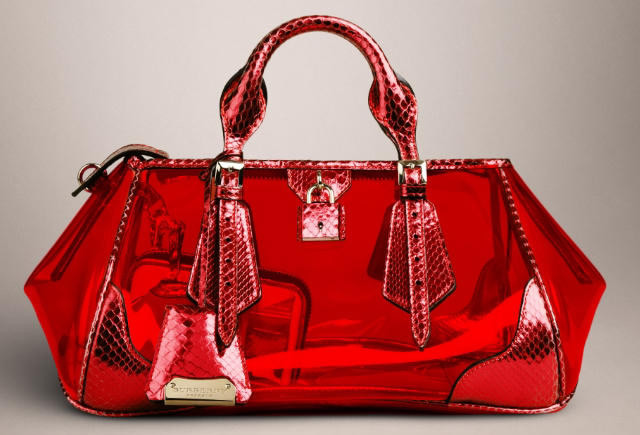 The big Burberry bag for their Spring 2013 season is the Burberry Blaze Bag, which comes in a variety of finishes, most notably with see-through colored vinyl with tonal metallic python trim. I have a problem with this bag, and believe it or not it is not the vinyl finish. The shape of this bag is incredibly hard to wear, and you could see the models even had a bit of a struggle walking with this bag by their side as it would rub against their body with each step they took down the runway. The design of the Blaze bag is wide from front to back which will keep it from being carried in the crook of the arm properly, as it will never hang correctly. Just as the models had to, you will have to carry this bag in your hands, and this simply does not happen much if at all anymore - it makes no sense, design-wise, and defies logic from a practical retail standpoint. Those aren't the only issues, though: the bag's price point is extremely high for a hard-to-carry piece made mostly of vinyl. 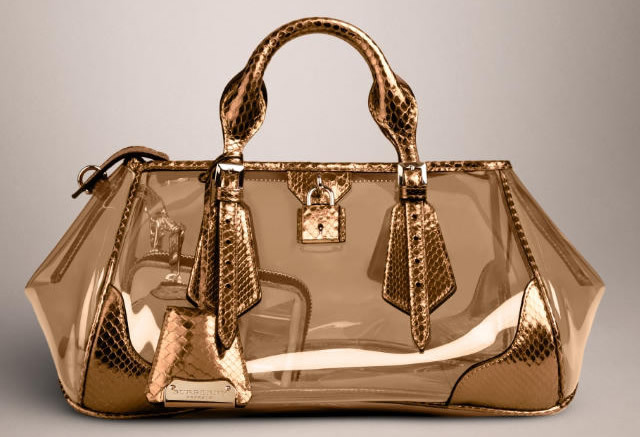 Price is $3,695 for this version via Burberry.